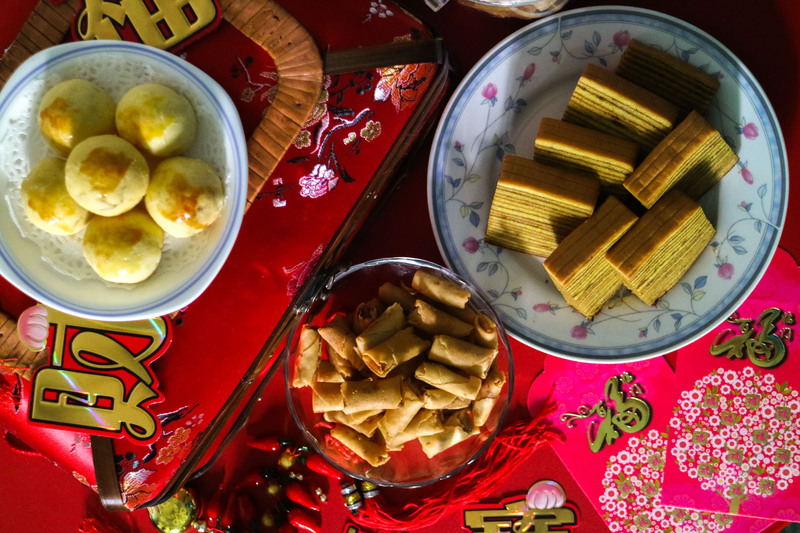 Other than feasting on the yummy cookies, chocolates, and logcakes during Christmas, the next festival that we feast on goodies is during the Chinese New Year! 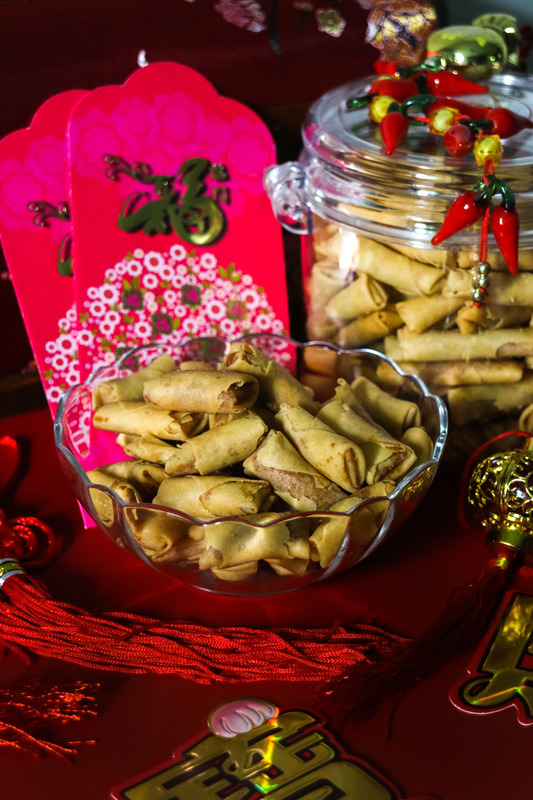 The usual Chinese New Year goodies we always enjoy is the Bak Kwa, Pineapple tarts, Shrimp Rolls and more, but do you know that there’s a wealth of meaning behind each of these festive goodies? 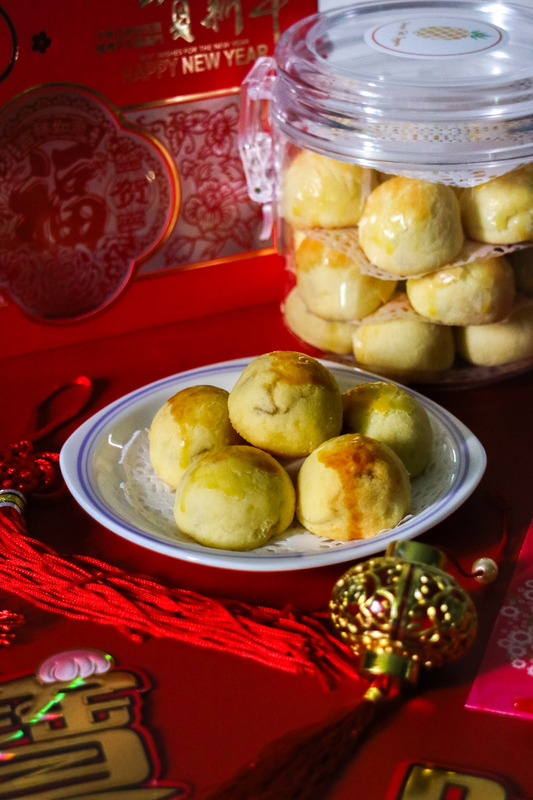 Strike a perfect balance of buttery and sweetness with Pineapple Tarts Singapore’s mouth-watering pineapple tarts as they at bake to perfection with the most premium ingredients and the freshest pineapples for the filling. The strong buttery crust will melt-in-your-mouth with each bite! Shrimps symbolize happiness and good fortune in Chinese culture with the Cantonese pronunciation as ‘HA’, which is frequently use in idioms like ‘哈哈大笑’. The dried shrimp sambal is rolled in a cylindrical shape with spring roll skin and deep-fried to golden colour to resemble gold bars. The spiciness of the sambal and the fragrant prawn paste make every bite of the Shrimp Roll irresistibly good and crunchy! 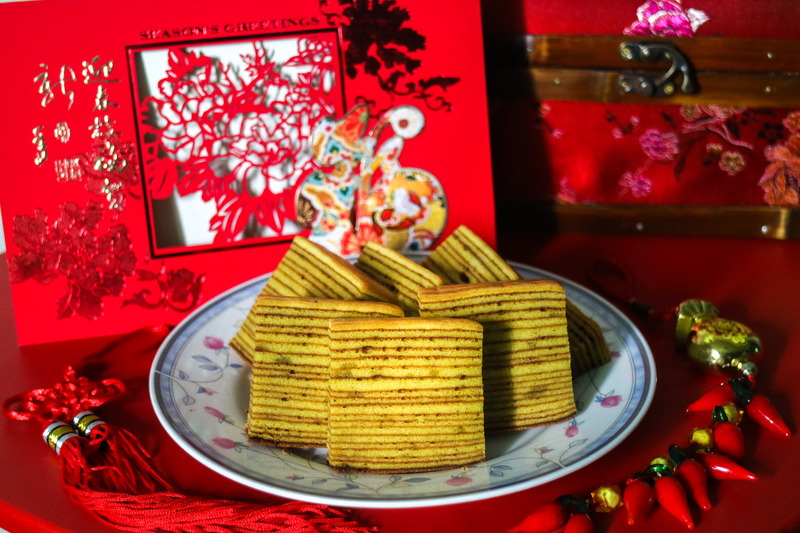 This popular Nonya cake, also known as Kueh Lapis is also one of the favourites among the Chinese New Year goodies as the multiple layers symbolize longevity, 步步高升 which meaning promotion in life. With each layered freshly baked to perfectness for a fluffy, rich and moist goodness, you can sink your teeth into this highly addictive and truly satisfying Kueh Lapis from Pineapple Tarts Singapore. One thing we loved about this cake is that it’s too oily and sweet. Definitely a healthier option for all! 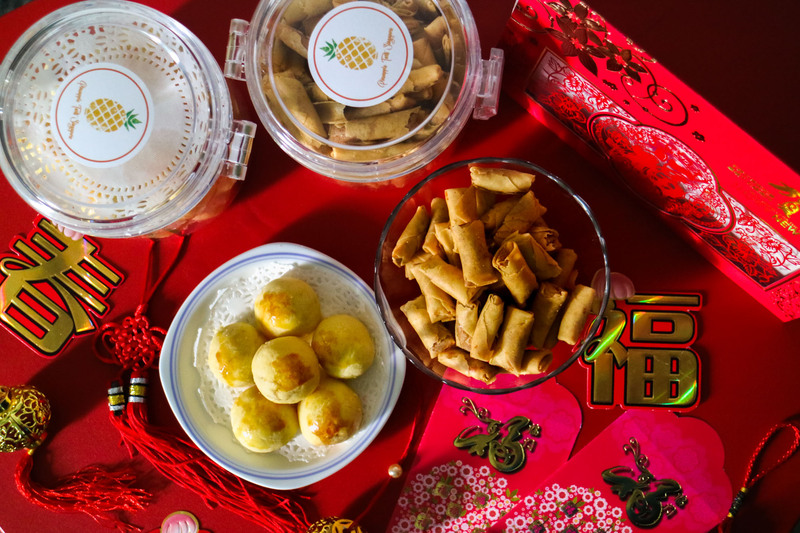 This Chinese New Year, get these yummy festive goodies from Pineapple Tarts Singapore and apply the promo code “darrenspecial10” to enjoy 10% off your purchase! What’s more, we are giving away 3 sets of these goodies (1 bottle of Original and 1 bottle of Cheese Pineapple Tarts) to 3 lucky winners on our Facebook Page! Find out more below.